Recall that Obanikoro is standing trial alongside former Ekiti state governor, Ayo Fayose. He is alleged to have received N4.7bn from the Office of the National Security Adviser under the leadership of Col. Sambo Dasuki (retd.) in 2014. Punch reports that about N2.2bn out of the funds was allegedly handed over to Ayo Fayose who was then a PDP governorship candidate. The money was allegedly released to rig the Ekiti state governorship election. It is also alleged that N1.3bn from the money was given to the then Osun State governorship candidate, Senator Iyiola Omisore. At the beginning of Obanikoro's trial, the EFCC was able to secure a court order for the seizure of some of his properties suspected to have been proceeds from corrupt practices. The seized properties include four terrace houses located at 44 Mamman Kotangora Crescent in the highbrow Katamkpe Extension area of Abuja; a parcel of land in Guzape District and a duplex at Olori Mojisola Onikoyi Avenue, Ikoyi, Lagos. 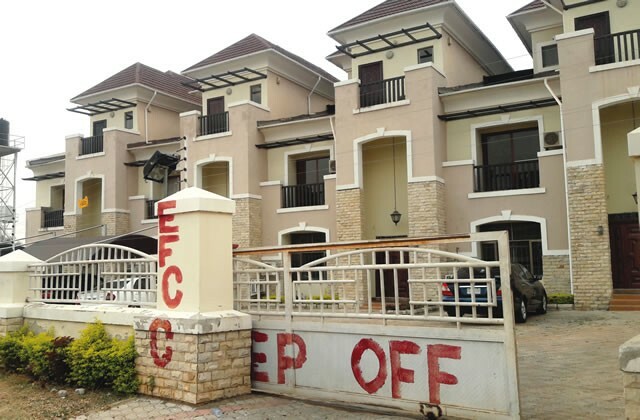 The red paint inscription, ‘EFCC, Keep Off!’ had been wiped off on the walls of the buildings.